May 2009 saw the launch of STS-125, a NASA Space Shuttle mission which conducted a set of upgrades on the Hubble Space Telescope. As well as making the space telescope more powerful than it has ever been before, the upgrades included repairs and replacements that would help Hubble last until at least 2014. 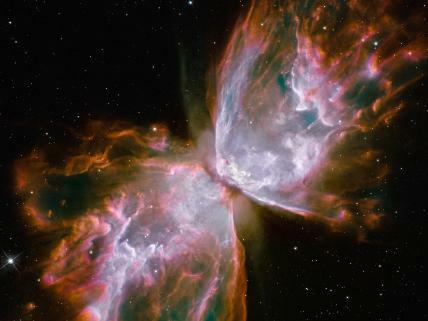 As of today we can see some of the results of all this work since NASA has released the first set of pictures from the upgraded system including the one below which is of NGC 6302 or, to give it its more snappy title, the Butterfly Nebula. Head over to NASA’s website for the full story along with high resolution images.